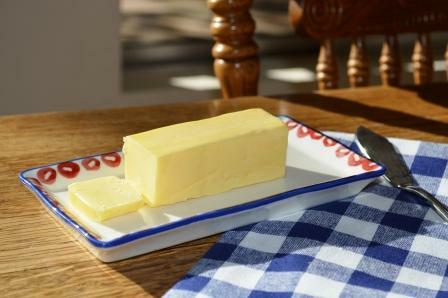 Butter, it makes everything taste better, but who would have guessed that it is now considered a healthy fat? Butter contains 3-4 percent butyric acid and is a far superior source of it than grains. Butyric acid also reduces gut permeability, is a primary fuel for your colon cells, and assists with the production of healthy gut flora. Grass fed, organic butter is a rich source of omega fatty acids, CLA, vitamins A and D, and aids in the assimilation of fat soluble vitamins and minerals present in your vegetables (veggies are your best choice for fiber). It is well recognized how important omega fatty acids are to heart and brain health, but it is now believed that conjugated linoleic acid is linked to long-term weight management. That’s right, eating butter derived from grass fed animals will make us lose weight, not make us fat. So ditch the margarine or vegetable shortening required in your recipes and substitute organic, grass fed butter. Join my other health conscious subscribers and receive exclusive recipes, private Q&A’s, giveaways, blog post notices, and more! Sign up here. Thanks! Copyrighted 2014 by Jacqueline Peppard. All rights reserved. For those suffering from heart disease, high cholesterol, diabetes, and acid reflux, consideration needs to be given to the quality of fat contained in the ingredients and not that they contain or are made with fat. 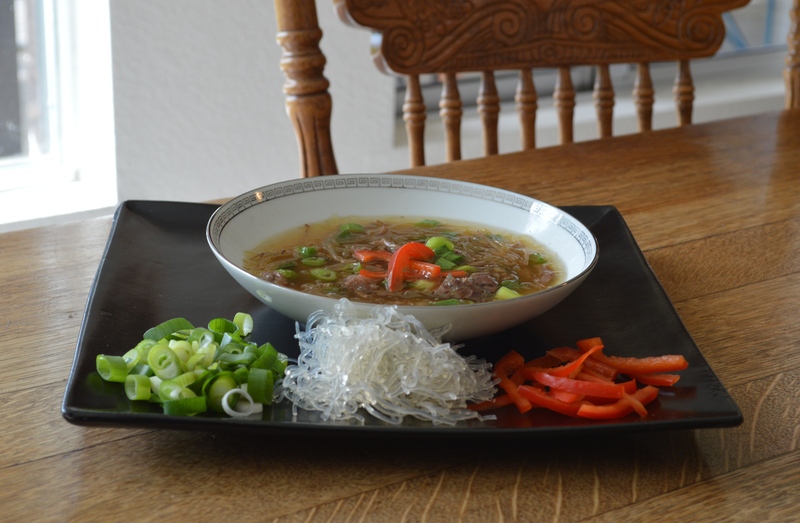 This meal is suitable for everyone with the foregoing ailments if high quality fats are consumed. Low fat is not what one should seek, but fats that are obtained from animals 100% grass fed or pasture raised or wild caught, organic, and non-GMO certified to obtain the healthy omega three fats our bodies desperately require, and are in so short of supply in our food, and to utilize fat soluble vitamins. I know, quite the complicated and expensive checklist, but given the state of modern day food production, we have to be willing to seek out and demand quality products. Your health is too precious to demand anything less and if you don’t, the medical bills down the line will far out weigh the extra dollar or two you had to pay for pasture raised eggs or wild caught salmon. No salt recommended. The salmon and/or butter should contain enough. Directions: Prepare the poaching pan and set the eggs aside to become room temperature while you prepare the other ingredients. Place two slices of salmon side by side on each plate. Heat the butter in a skillet on medium high and add scallions. Saute lightly and add greens. Turn heat down to medium and saute greens until lightly wilted. Remove from heat and leave in pan for now, but set aside. If you feel you would rather have steamed greens instead, you can do that, but it does loose a little bit of flavor. Also for people with onion allergies, I would substitute (1/2 cup) fennel for the scallions to add flavor. Plus, fennel is great for your digestive system. Poach your eggs. I like mine cooked about 5 minutes. This seems to cook the white firm but leave a soft yolk. 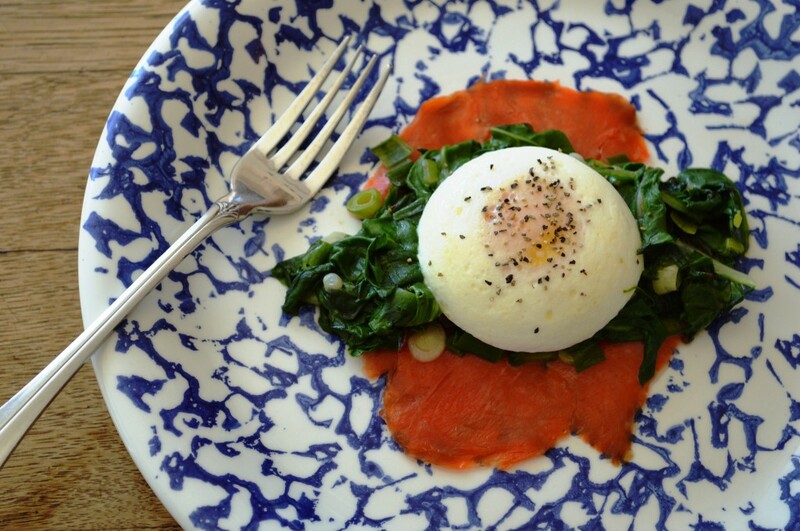 Place the cooked greens on top of the salmon and add the poached egg. Sprinkle with the coarse pepper on top. Copyrighted 2014 by Jacqueline Peppard. All rights reserved. Copyright does not pertain to third party content. The following article from the online publication,Truth-Out.Org provides sobering evidence why it is so important to be aware of what you are buying and eating. The use of Roundup is only one of the many reasons to eliminate genetically modified organisms “GMO’s” from your diet. Every time you eat food products produced with GMO’s, you bring the earth closer to destruction. GMO’s are killing the bees and beneficial insects, the wild and domesticated animals who eat the insects and seeds, and ultimately humans who eat animal and grain products. Do something on a personal level – refuse to eat food produced with GMO’s. Check labels. Eating and buying organic does not always insure a product is GMO free, as the USDA allows loop holes in the “organic” designation. Look for products marked “GMO free” in addition to “organic” on the label. The snack sections or meals on the go of most “health books” contain nut, legume, and cheese concoctions which can produce allergenic reactions in susceptible individuals (especially those whose immune systems have been compromised). Nuts and cheese are not a good daily source of nutrition. Nuts and legumes contain omega’s in the form of ALA’s, the precursors for omega 3 and 6 fats. Contrary to what we have been led to believe, most of us cannot convert ALA’s into available omegas our bodies can use. Join other awesome health conscious people and receive the Resource Guide, exclusive recipes, private Q&A's, blog post alerts & more! All information, content, artwork, text and photographs displayed on, transmitted through, or used in connection with this website, as well as its selection and arrangement, are owned by Jacqueline Peppard, unless otherwise indicated. You may use the content of this website solely for your personal, non-commercial use, and you may download, copy, forward, share, or print a single copy in whole or in part solely for your personal, non-commercial use, on the condition that you do not remove any trademark, copyright, or other notice from such content. No other use is permitted without prior written permission of Jacqueline Peppard. You do not have to request permission merely to link from your website to this website, or to any article on the site, or to social media. By posting comment on any page of this website, you are granting Jacqueline Peppard an exclusive license to use the content on the New Era Healthy Eating website or elsewhere and relinquish any and all copyright claims.